Quirk Chevrolet makes every effort to present information that is accurate. However, Quirk Chevrolet is not responsible for any errors or omissions. Picture may not represent actual vehicle. Dealer installed options are additional. Price includes all applicable rebates to dealer. Not all will qualify. Must trade a 2005 or newer. Documentation fee of $299 is not included in price of vehicle. Tax, title, registration and doc. fees are extra. *With approved credit. Terms may vary. 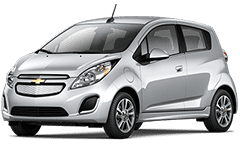 Monthly payments are only estimates derived from the vehicle price with a 72 month term 2.9% interest and 30% down payment. Please verify any information in question with Quirk Chevrolet by calling us at (781) 348-9663 or by visiting us.